And who can argue with the title of one of Pauline Oliver's poems about happiness. And you'll find similar sentiments in inspirational poems by the likes of John Dryden, Emily Brontë, and Thich Nhat Hanh. 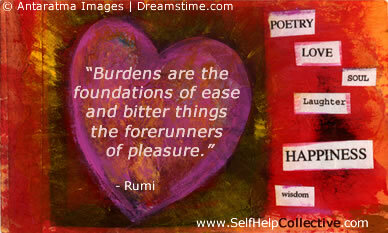 You'll also find links to other famous poems, passion poems, inspirational stories and even inspirational quotes. "The little unremembered acts of kindness and love are the best parts of a person's life." Is a pleasure - you will find. And from the green spray shook no tears. However pure its raptures are. And clear expand heaven's breathless shores. And young leaves shoot among the fern. Their glory - haloed crown to wear. Share this happiness poems page - thanks!